What better way to step into spring than by winning a contest? Well, I am hoping to do just that. 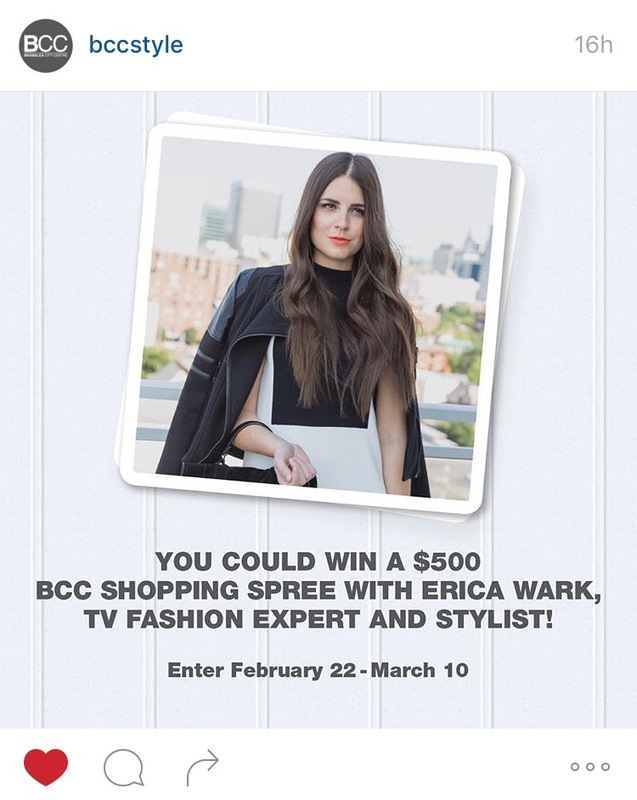 When I first saw the announcement from Bramalea City Centre of a contest for a chance to win a $500.00, two-hour shopping trip with fashion expert and stylist, Erica Wark I jumped at the opportunity. Winning this contest would be so special to me. It couldn’t have come at a more perfect time in the season as the transition to spring styles has official begun. I have such a passion for fashion and shopping and would love to be able to meet a true and local expert in the industry! I just know that I would have such an amazing time and would look forward to how much more I can learn about styling as well as blogging through Erica. 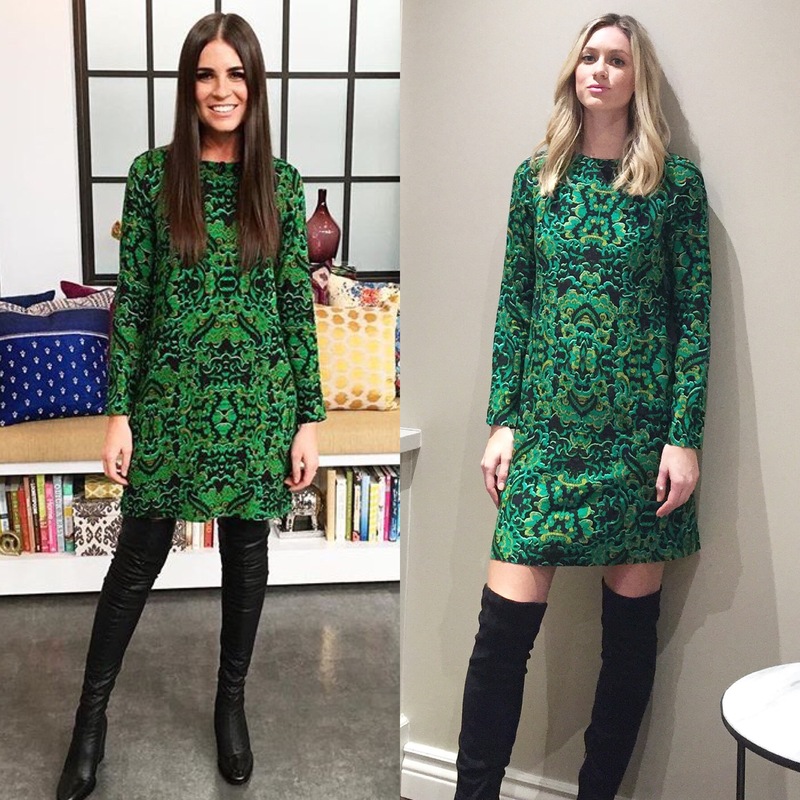 I follow both Bramalea City Centre (bccstyle) and Erica Wark (ericaonfashion) on Instagram and Twitter (bccstyle) & (ericaonfashion) and love to keep up to date with their feeds! I also keep up-to-date with Canadian fashion and think it’s important to support or local fashion industry and surrounding community. I have been a huge fan of Erica’s for a long time now, and watch her segments on local broadcast stations such as CTV’s The Social, The Marilyn Denis Show and ET Canada. It’s so nice to see talented Canadians own what they love and share that love with others along the way! 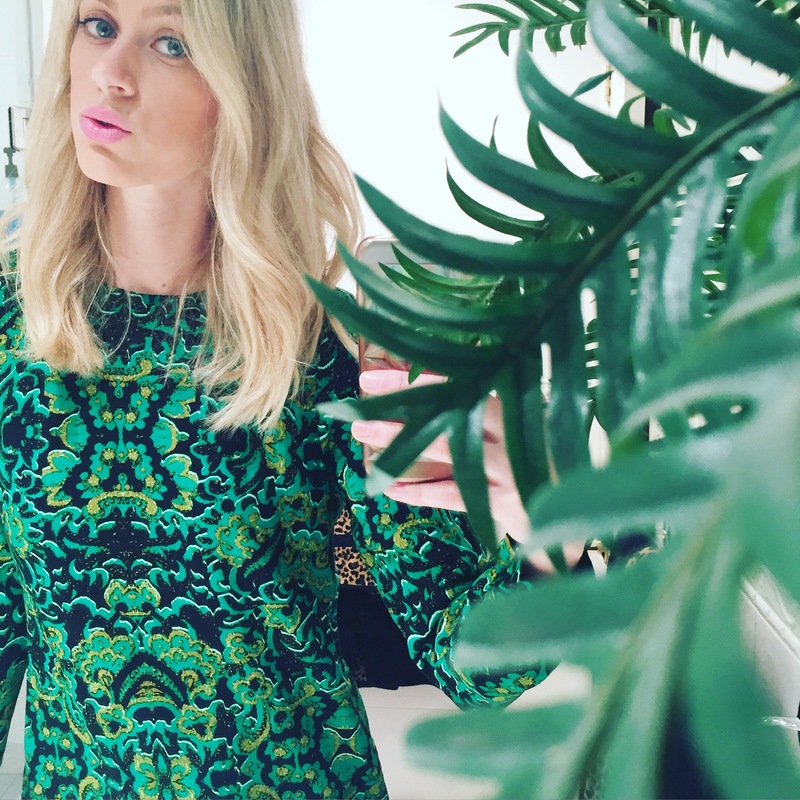 I started a fashion blog just like Erica did as a way of writing about what I love. 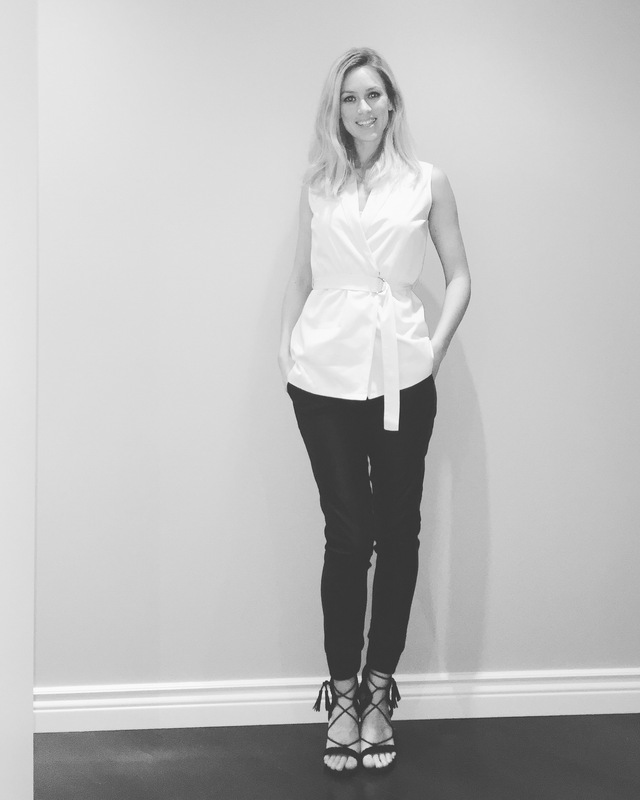 Erica brings more than just stylish outfits to the table, she exudes confidence in everything that she does and you can really see her excitement shine through. I have always been big into fashion myself, and more recently into photography, so I figured what better way to express my true self than by starting a fashion/lifestyle blog. 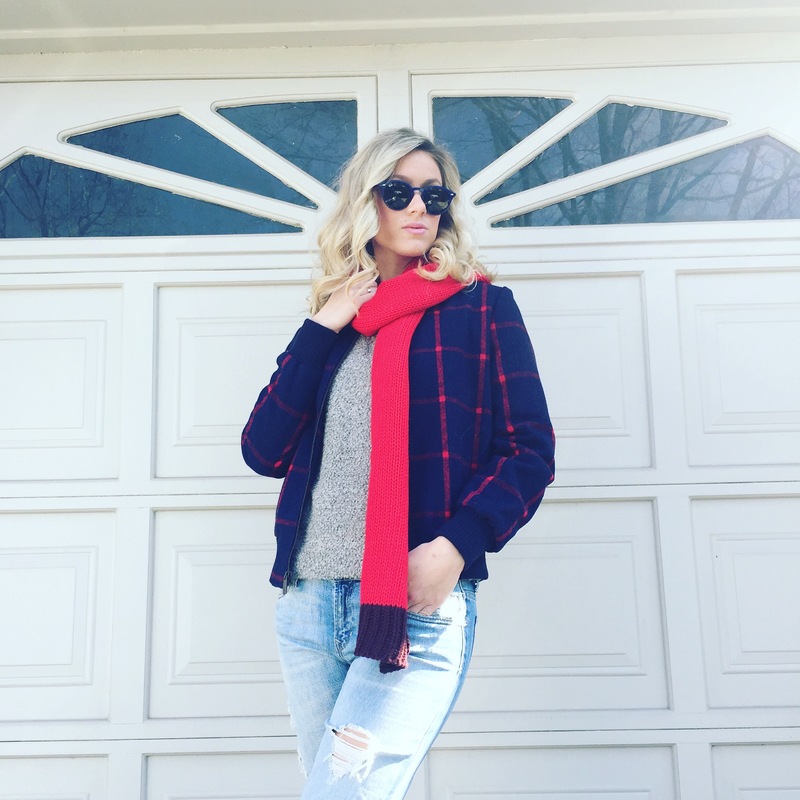 My blog (Staffordable Blog) is actually a play on my last name (Stafford) mixed with affordable (I am a self-proclaimed affordable fashion finder.) Just ask anyone I know, they will tell you I’m all about finding great pieces and even better prices! It took me a while to come up with this name as I wanted it to be something that was really catchy and creative…this one definitely stuck. What really speaks to me is the way that Erica inspires us to branch out and look at and try fashion in unique ways. 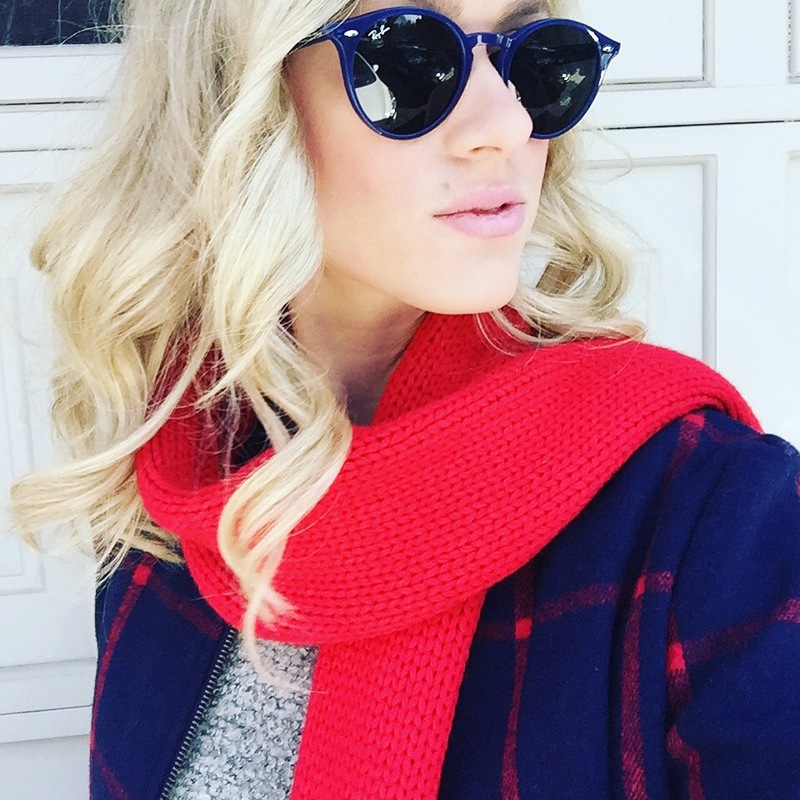 Erica is all about pushing the boundaries and having fun with fashion all the while helping us find our true-style. Erica is a nationally renowned stylist and expert and TV personality. She is the creative and fashionable mind behind “Erica on Fashion” and coined the term “Wark-It”—which couldn’t be any more perfect! I instantly started thinking of what sort of outfits I could put together that were “Wark-It”- worthy! 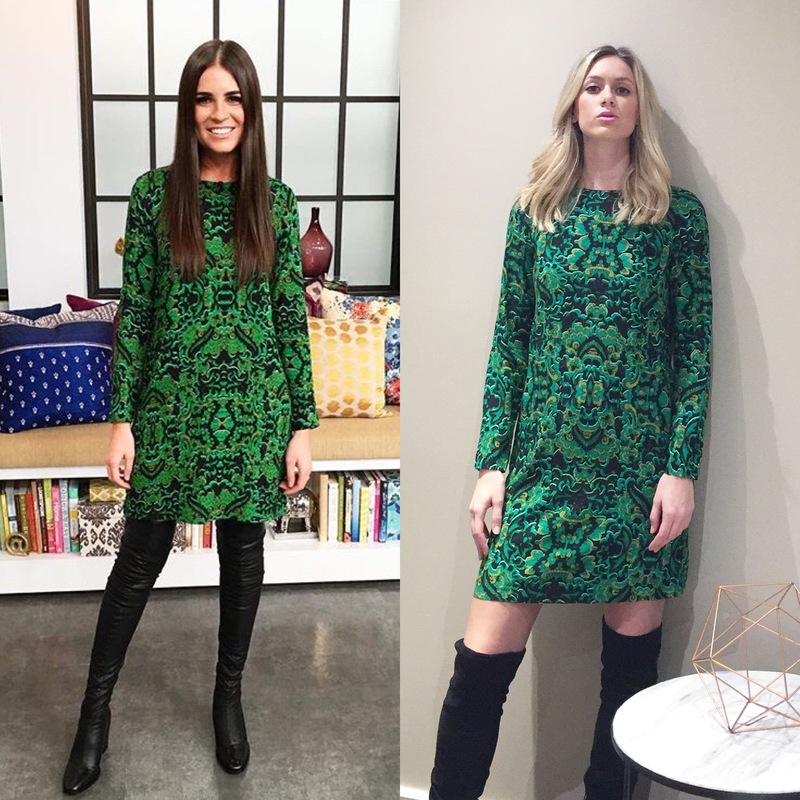 After doing a little bit of browsing I was pleasantly surprised to see how similar Erica and my styles are! 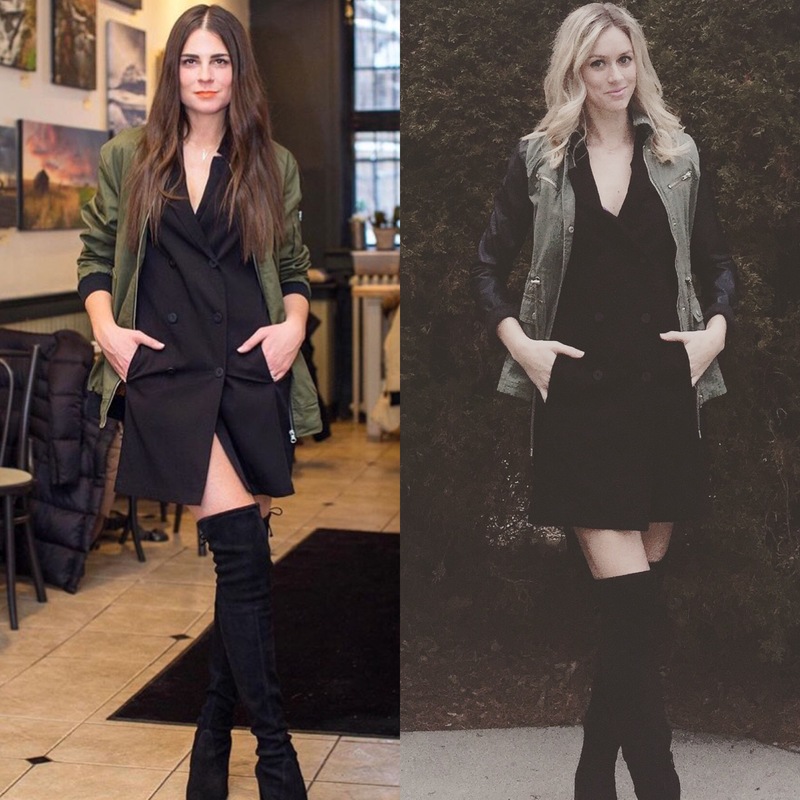 In fact, not only are there items that I have that I could recreate some of Erica’s looks, but I also came across a few exact outfits that we share! While some of my outfits are very similar (if not the same) as Erica’s you will also see some of my entries showcase some of my personal flair such as pops of colour or fun patterns! 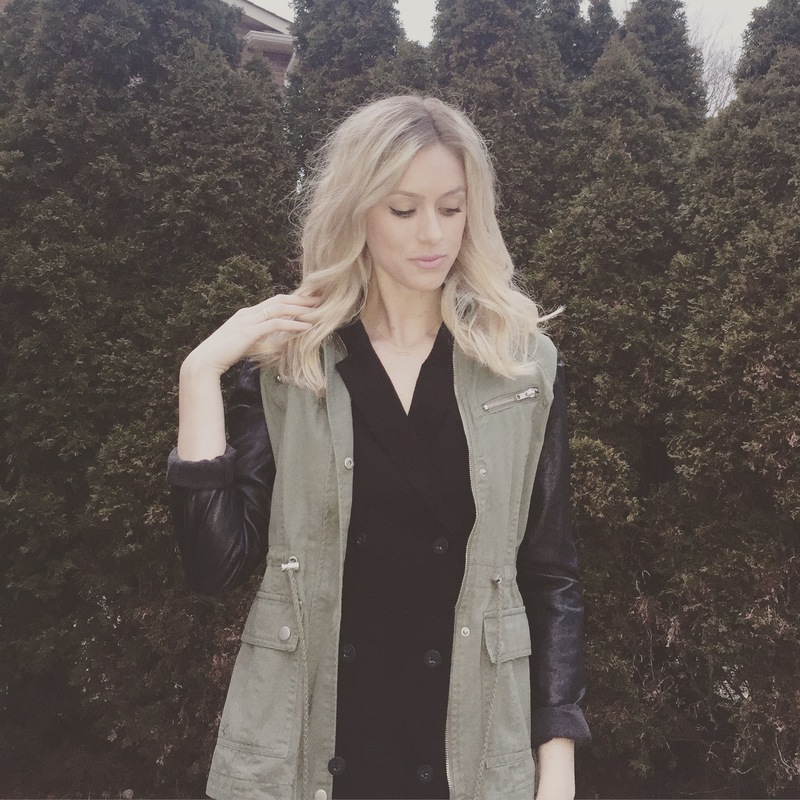 Erica is all about shades of black and leather. So here’s my take for look number 1! 2. I went for an entirely different look for this entry! 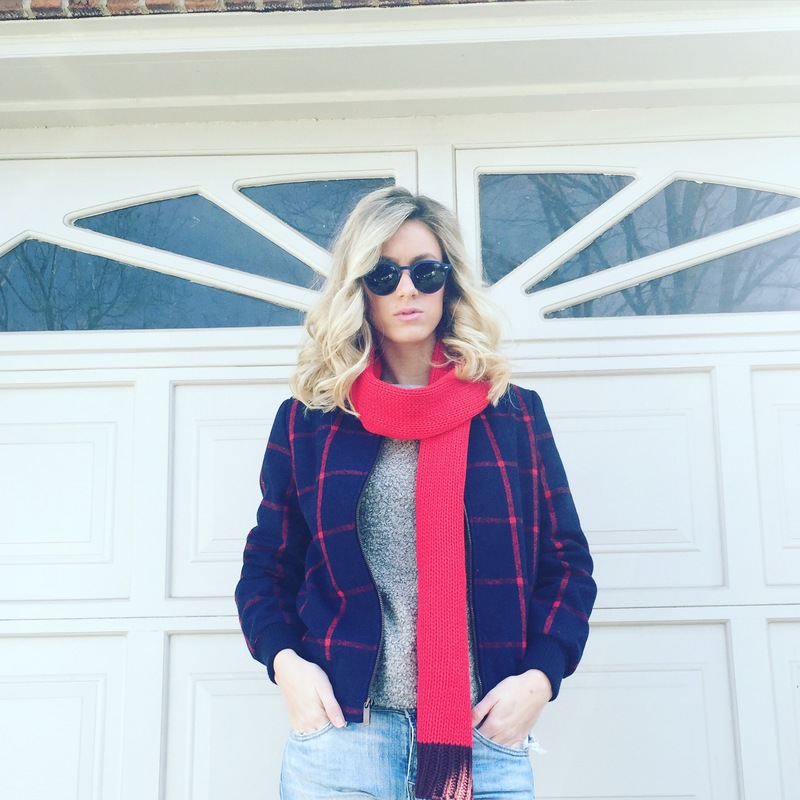 I opted for a blue and red checked wool coat and a pop of red with a thin scarf. I finished off the look with a cool pair of shades! 3. In true Erica fashion I went for a button-down suede mini-skirt and mock-neck cutout blouse! Outfit Details: Button-down suede miniskirt (Express), Mock-neck Cutout Blouse (Forever 21). 4. This outfit was 100% inspired by Erica. I saw her post a picture in this awesome vest on Instagram so I just had to go online and order myself one! I paired it with faux-leather tights, strappy heels and funky shades to match her look! This may just be my new favourite work outfit this Spring! 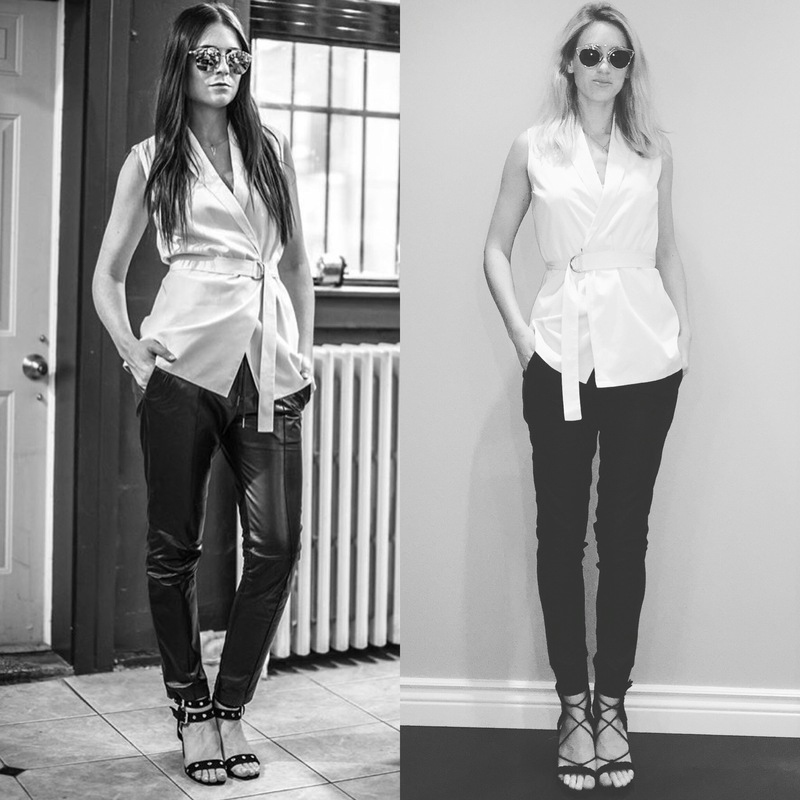 Outfit Details: Cream coloured button vest (Reitmans), Faux-leather tights (Forever 21), Strappy Heels (Forever 21), Sunglasses (Ebay). 5. Yet another outfit I found while browsing Erica’s Instagram. I’m currently obsessing over this Willow and Thread tailored black vest (worn as a dress). You can take it from the office to a night out! Outfit Details: Willow and Thread Button-up vest (worn as a dress- inspired by Erica), Cargo jacket with faux-leather sleeves (Urban Planet), OTK Boots (CallItSpring). 6. Last Erica-inspired outfit- I PROMISE! I actually bought this a while back and then noticed that Erica had the same one! I love how she paired it with her favourite OTK’s. 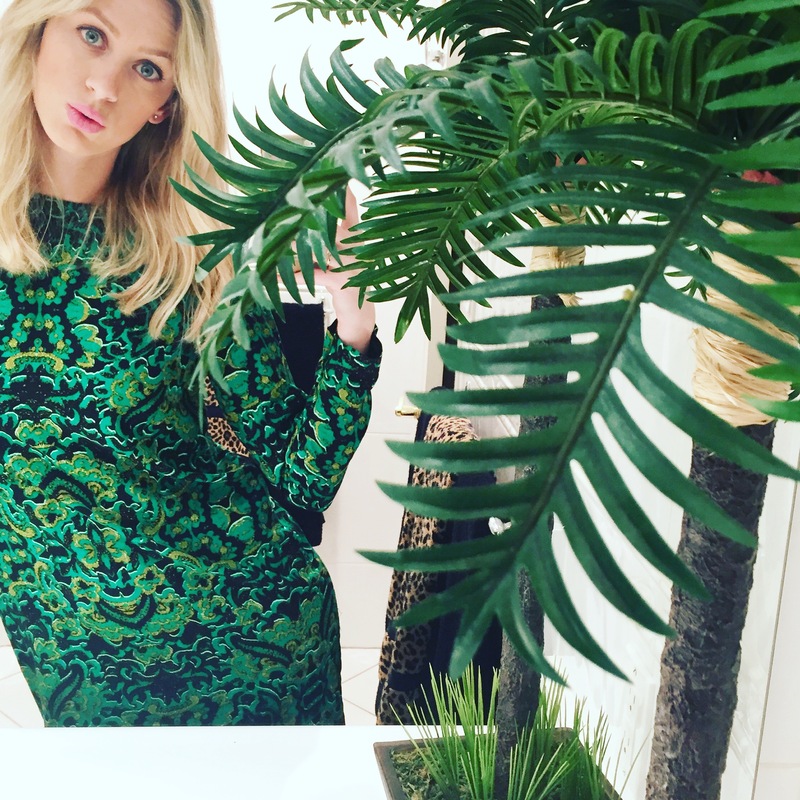 This look is going to be perfect for Saint Patrick’s Day! 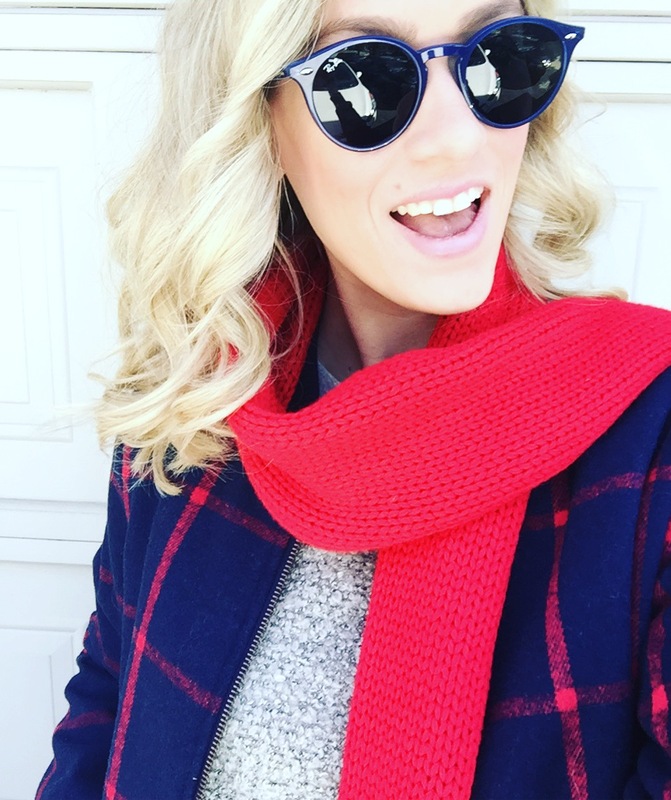 Please visit my Instagram (Staffordable_Blog) and Twitter (staff_sara) and share your thoughts/love of my best Erica Work style inspiration! It would mean the world to me to win this contest! I would love to know what you think. Wish me luck!